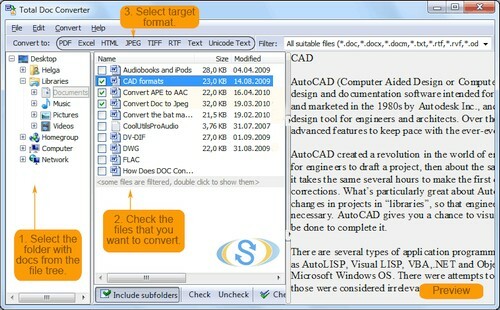 CoolUtils Total Doc Converter 5.1.0.198 Portable » SoftLab - портал portable-софта! Combine multiple source DOC files into a single multi-page PDF or TIFF file. Users can encrypt the final PDF file in order to protect it from being copied or modified. Total Doc Converter preserves original document properties (author, creator, key words, subject, title, etc.) when you convert DOC to PDF. More unique options.. Total Doc Converter is able to process any number of docs in a single pass, while maintaining folder structure to avoid confusion.